Composting has more advantages than the obvious one of providing organic fertilizer for your garden. Adding compost to your garden soil can result in long term benefits, such as reducing incidences of plant disease by cutting down the absorption of contaminants by plants and degrading toxic organic compounds such as hydrocarbons. Compost also has a positive impact on the physical structure of soil, reducing erosion and increasing its water binding capacity. 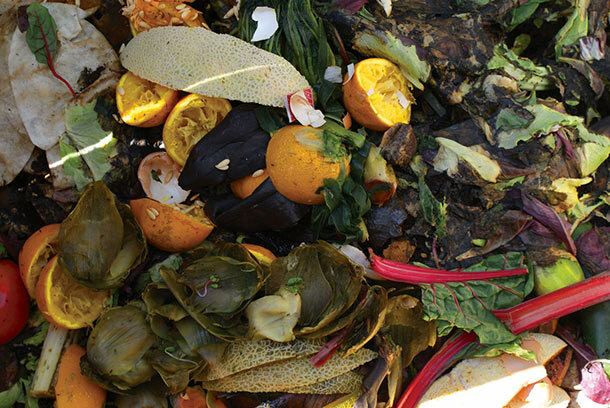 Here is a brief overview of how to compost. First, you will want to designate an area for your compost. Composting can be done by simply digging a hole or creating a pile of earth to bury scrap organic material in. While this will work, it may take longer for the materials to break down without proper ventilation and moisture levels. You would also have to deal with animals making a mess of your compost. For better results, use a compost bin that creates the optimal conditions for the compost to break down and decay. The bin should have a way to allow excess liquids to drain out of the mixture easily and should be well aerated to allow plenty of oxygen to get in. Another benefit of the bin is that you can use a cover to keep the animals away and help maintain proper moisture levels in the compost. Once you have a bin, you will fill the space with a mix of balanced ingredients. Mix garden soil with a mixture of organic compounds that are high in nitrogen and carbon. Organic materials high in nitrogen are usually green such as green leaves, flowers and fresh grass clippings, as well as coffee grounds, tea bags, eggshells and peelings from fruit and vegetables. Chicken manure is also high in nitrogen and is an excellent activator to kick start your compost pile. Organic materials high in carbon are usually brown such as dry leaves, bark chips, straw, paper, pine needles and dryer lint. A good mixture to use is one third green to two thirds brown materials. Make sure that the compost pile moist enough, it should like a damp rung out sponge. 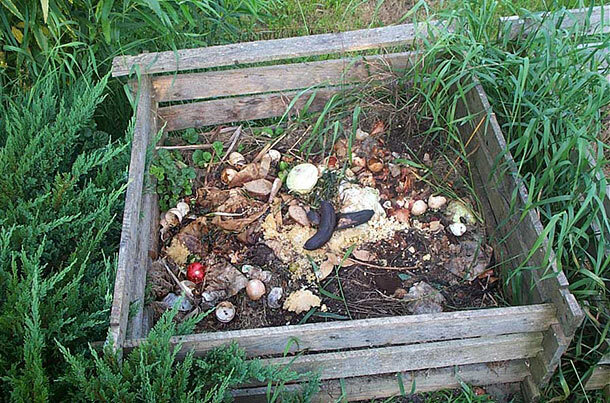 Avoid putting any animal bones, meat scraps, or anything greasy or fatty in your compost as they are slow to breakdown and will only attract pests. Also avoid organic materials that may have pesticide residue on them such as some fruit and vegetable peels. Turn the pile regularly to keep air flowing inside of it to encourage the growth of bacteria and micro organisms which will speed up the composting process. You can do this by moving the pile around with a shovel or you could consider buying a compost tumbler with a crank that you can periodically turn. When turning the pile manually, make sure you break up any clumps and if the soil begins to start looking dry, add some water to it. If the pile seems to wet try adding more dry brown materials such a dead leaves or sawdust to soak up the water. Periodically gauge the temperature of the pile to ensure it is warm enough. Heat means that compost is breaking down properly. The pile should feel warm or hot to your hand. If it is not warm, try adding more green stuff to the pile that is high in nitrogen. It may take a few weeks before the composting process is done. The compost should be crumbly and a uniform dark brown color that has a pleasant, earthy smell. Before using the compost, you might want to sift through it and remove any chunks of material that have not decayed and put them back in the bin.